For a music player that plays your favorite songs in multiple formats, you need the Pioneer DEH-X36UI Single In-Dash CD Player. This car CD player also plays MP3 and WMA files, and it has a direct control included so you can plug in an Apple iPod. The Pioneer CD Receiver has Android/Apple iPod compatibility. The player itself contains multi-color illumination and a multi-line, multi-segmented LCD display. You can operate the player by remote control. 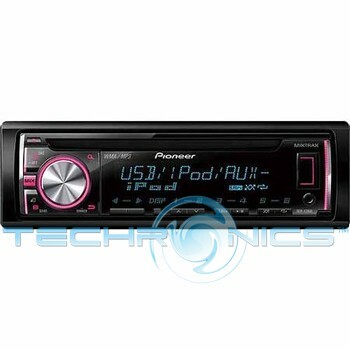 The Pioneer car CD player comes with Pandora, USB and aux inputs included. A wiring harness and a mounting cage are included, as are an owner's manual and installation instructions.